This might sound silly to some, but it is a really good idea during the winter. Not only does it keep your garage warm and keep certain things from happening, it is good for the rest of your home. Of course, you might want to invest in some added garage door insulation and insulation for the rest of your garage. That old garage window definitely needs to be better insulated. Once you have done this, you can stick something as simple as a space heater in your garage. This will prevent your garage door springs from freezing and becoming brittle. It will also keep your house warmer as a lot of heat escapes out into your garage even with the door closed. What If My Garage Door Is Already Frozen To The Ground? This is a common question and it is important not to try to force it open. Do not continually try to have your garage door opener lift it, either. Doing that will definitely fry your garage door opener’s motor. The best thing you can do is pour some salt or salt water on it. For a slightly longer wait, you can position a space heater on it. To prevent this all together, make sure your garage door is clear of snow and ice. Of course, heating your garage will definitely help as well. Just remember not to force it open. You might even destroy the weather stripping on the bottom of your garage door. That is a costly repair by itself! Contact A Professional If It Gets Worse! 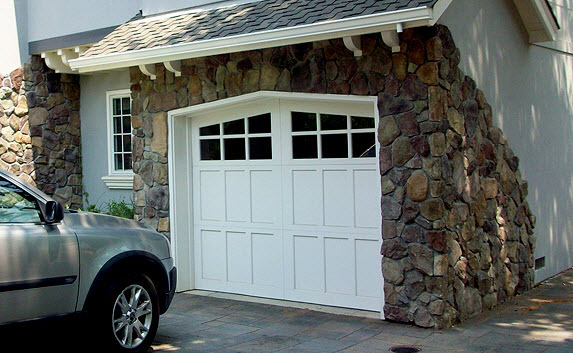 If your garage door springs have already broken, your garage door will no longer raise. 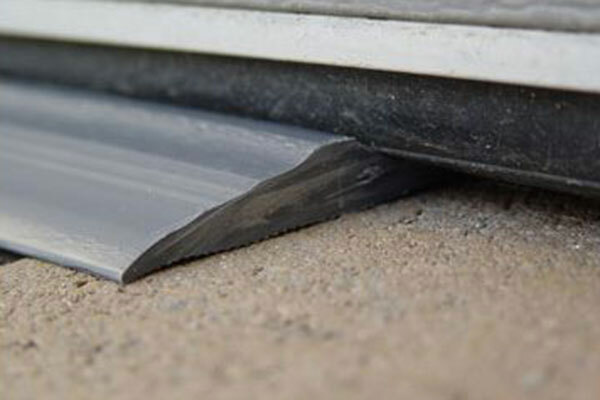 They support around three-hundred pounds of weight, so your garage door will not raise if they are broken. Your garage door may also contract if it is too cold, causing it to raise and lower a lot slower and with greater friction. If your problems persist, it is important to call the professionals at (877) 622-8183. 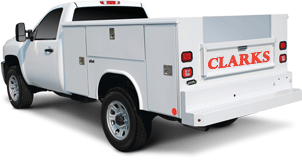 Clark’s Garage Door & Gate Repair can handle any of your winter garage door problems. We are open twenty-four hours a day and seven days a week. You can call us anytime for emergency garage door repair services. Don’t worry, we won’t charge you as much as your heating company does during the winter. Choosing A Wood Garage Door? Here’s What You Need To Know!